Bring your favorite group of kids to our Chevys Restaurant for a full guided tour. We donate $2 from every ticket to local Samaritan House. We cater groups from 10 to 10,000 and everything in between! Get a pound of chips and pint of salsa for every two platters purchased. At Chevys, we love watching people try our food for the first time. Even if they’ve never heard of Fresh Mex®, they take one taste, and they just get it. All our food is handcrafted and made from scratch with fresh ingredients. That’s the whole idea behind Chevys, where Fresh Mex® is more than just a menu slogan. Everything, and we mean everything, is made from fresh ingredients every day, right in the kitchen. Our flour tortillas are made from fresh homemade dough on EI Machino® (and all are 100% cholesterol free). 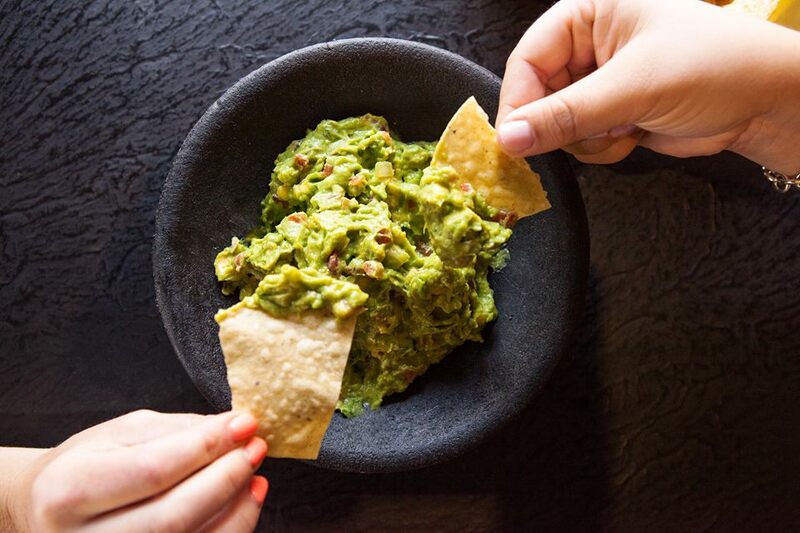 Guacamole is made fresh, never frozen or from packages. We mash thousands of avocados every day. We have a NO CANS rule in our kitchen. Nada, No Way, Never! We are serious about fresh ingredients. THE PARTY IS ON US. Celebrate at Chevys! We have all the Fresh Mex® ingredients to turn your event into a fiesta. Here at Chevys, we have one burning passion: to bring all the best of fresh ingredients from our kitchen to your table. Bring those flavors to your place, or come to ours. We have rooms you can reserve, patios or semi-private areas. At Chevys, the party’s on us. Kids also dig Chevys Fresh Mex®. That’s why we encourage you to bring your favorite group of kids to our Chevys Restaurant for a full guided, personal tour of the front and back of the restaurant, including our HUGE walk-in refrigerator, and a whole lot of fun. Your students will watch our tortilla machine make up to 900 tortillas per hour! At the end of the tour, kids enjoy our Make-your-own Chevys Fresh Mex® Taco Bar! A SIDE OF MARGARITA, PLEASE. Come in and try one of our three new featured margaritas. Made with Pura Vida Tequila, La Primera, 3 hombres, and Mextacy, one is sure to be one of your new favorite drinks. Also, We’ve got five new delicious tacos on our special taco tasting menu. Come in and try our new braised pork, tropical chicken, Baja shrimp, Baja fish, and spicy steak tacos. Choose any combination of tacos for $9.99 + $1.50 to add rice & beans. Fill in the information below to receive news, specials and exclusive offers from Chevys.